The best way to build web pages is with web-standards-compliant HTML and CSS. HTML lays the foundation by structuring the content, and then CSS dolls it up and presents the page. Using them in the right way—with web standards—leads to web pages that are faster, more manageable, more cross-compatible, and more accessible than web pages built any other “old-school” way. This book is designed to take you through these symbiotic languages, explaining how to use them the web-standard way, comprehensively covering the components that make up a web page and the technical details involved in making those components. 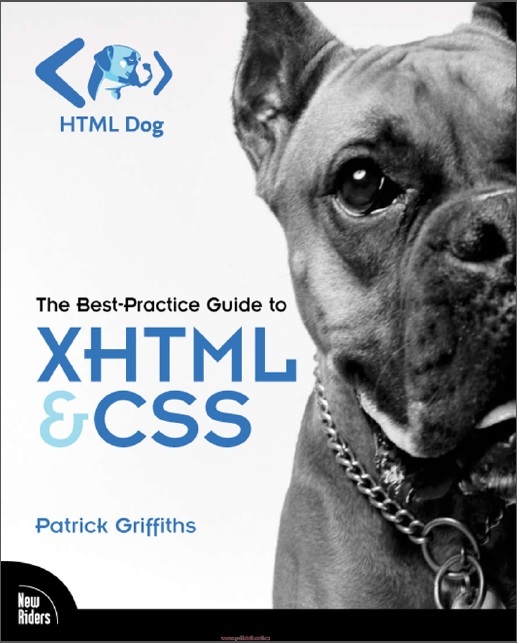 The HTML Dog first popped into the world in 2003. Its mission was to provide short and easy-to-follow guides in (X)HTML and CSS, following best practices from the ground up (rather than teaching old-school methods first and then moving on to the right way of doing things), which no other resource did, and few do even now. Since then the website has grown both in size and popularity, and is now one of the web’s most-used resources for web designers.